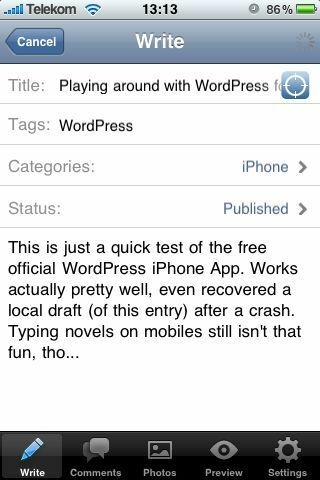 I was wondering what the currently supported fonts for the iOS 4 devices are and therefore put together a simple app that lists and displays all of them in a table view. 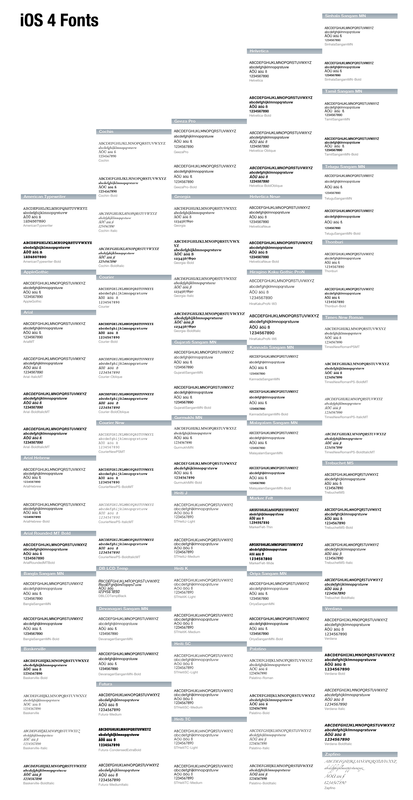 For a convinient reference I quickly assembled this little poster from actual screenshots. Rückruf vom technischen Kundendienst der DKB (hatte wegen falschem Kontostand und fehlenden Daten und Daueraufträgen einen Fehler gemeldet). 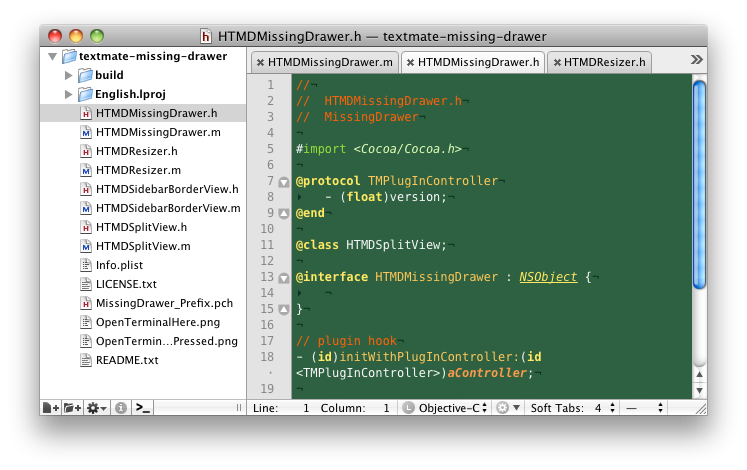 Some time has passed since the latest update of the MissingDrawer plugin for TextMate took place. Jannis Leidel did a great job in resurrecting the original Plugin by Hetima. Out of curiosity I just added a “Open Terminal Here” button to the drawer’s button panel, which opens a Terminal window at the selected folder or the selected file’s directory and updated the Xcode project to work on SDK 10.6. After a little project polishing and testing, I will eventually publish the source. 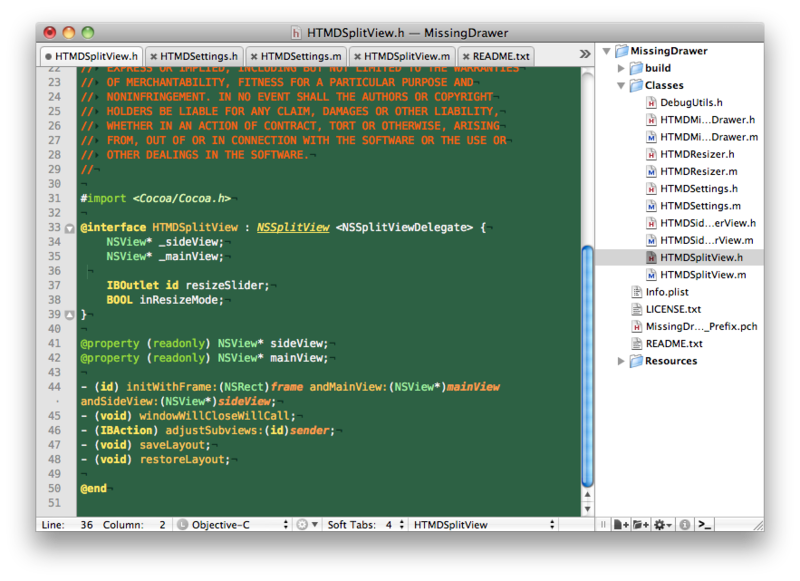 Meanwhile, I’d love to get some people to give it a try and test it on their TextMate. Leave me a comment, if you want to get the Plugin and its source code. EDIT: Fixed the bug, which didn’t show any drawer at all when opening TextMate directly by double-clicking a *.tmproj project file. EDIT 2: Added lefty support for toggling the drawer on right side. EDIT 3: The plugin is now available for download here (find code at github.com/jezdez/textmate-missingdrawer). Thanks, Jannis for creating the repo.